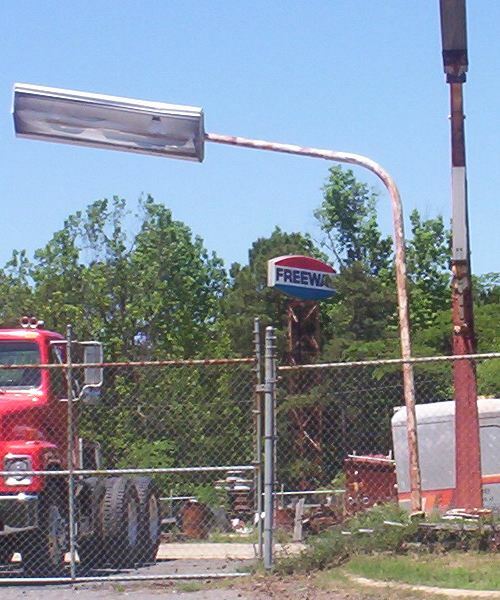 A Freeway sign, from Scott Greer, June 1, 2004.
on interstate 30 at Old Military Rd. just north of Malvern, Arkansas. a lot, and at one time you could see it from the interstate. It is now covered where you can only see it from that road." run as a DX subsidiary brand until about 1983 when Mapco bought them out. Freeway station near Lamont, California. Taken Sept. 2003 by J. Eric Freedner. 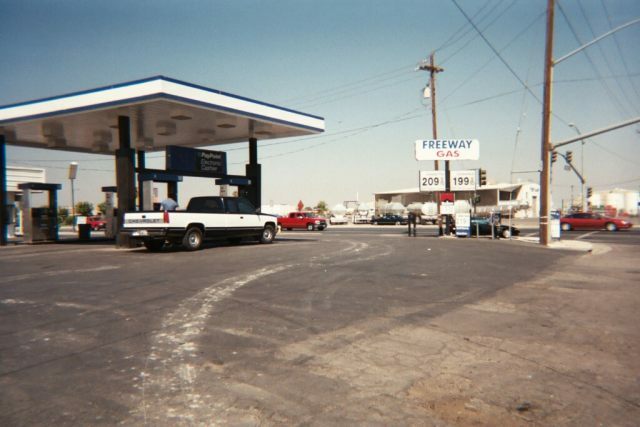 Along Brundage Lane, I found this converted ARCO now calling itself FREEWAY GAS. The sign is actually a tarp tied over the Arco sign. The "Freeway" in question is Route 58 just a block south of this spot. I know of no other Freeway stations.